Brains! is the third game in the Treasure Hunters series. Designed by Peter C. Hayward, with art by Kelly Jo. 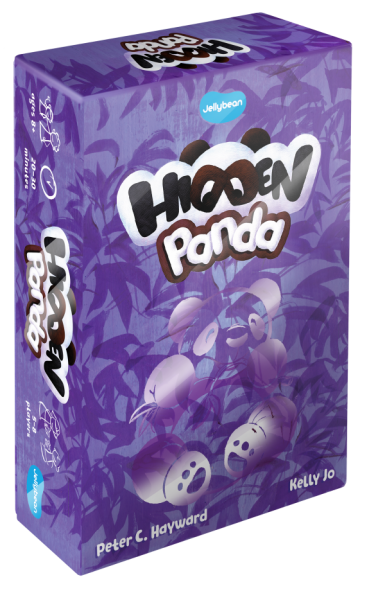 Hidden Panda is the world’s cutest social deduction game. 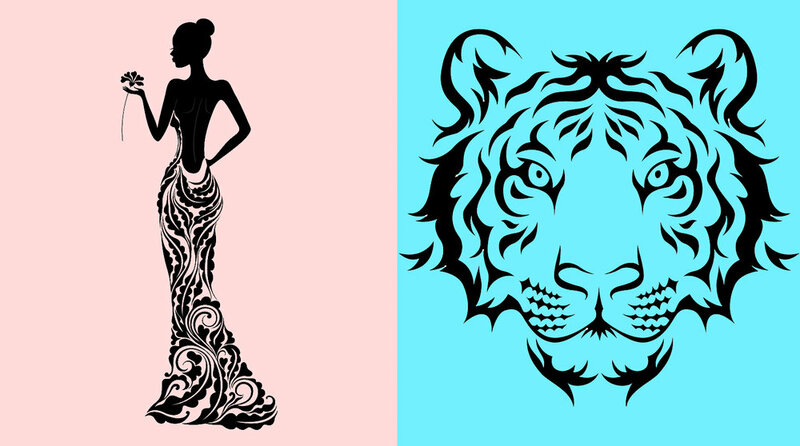 Designed by Peter C. Hayward, with art by Kelly Jo. 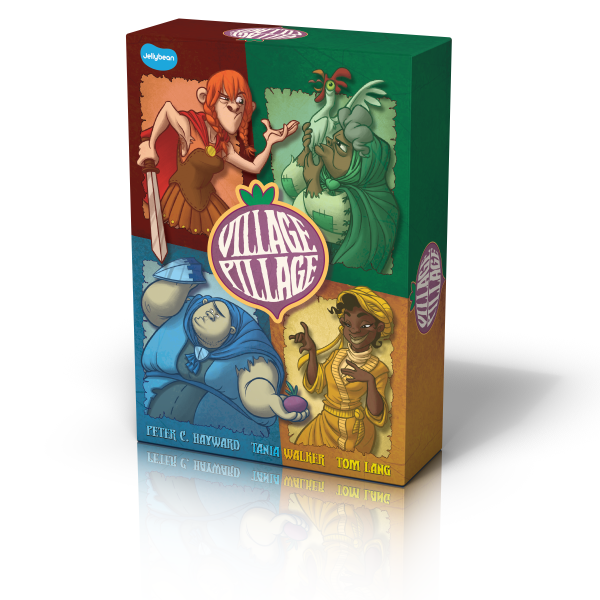 Village Pillage is a fast, fun, chaotic game for all ages, designed by Peter C. Hayward and Tom Lang, with art by Tania Walker. 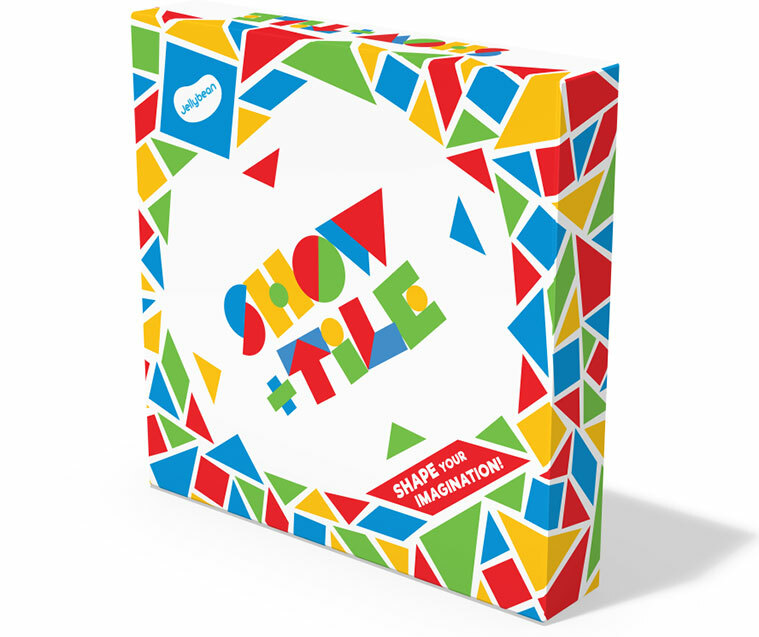 Show & Tile is a creative game for all ages, designed by Isaac Shalev and Matt Loomis. Ninjitsu! is a fast, fun, ninja-themed game for all ages. Doors: A 2-player bluffing game by Peter C. Hayward. Favor: A 2-4 player bidding game by Allysha Tulk and Kevin Carmichael. Hoard: A solo game by Ken Maher. Labyrinth: A 2-player maze game by Philip Tootill. Traps: A 2-6 player bluffing game by JR Honeycutt. 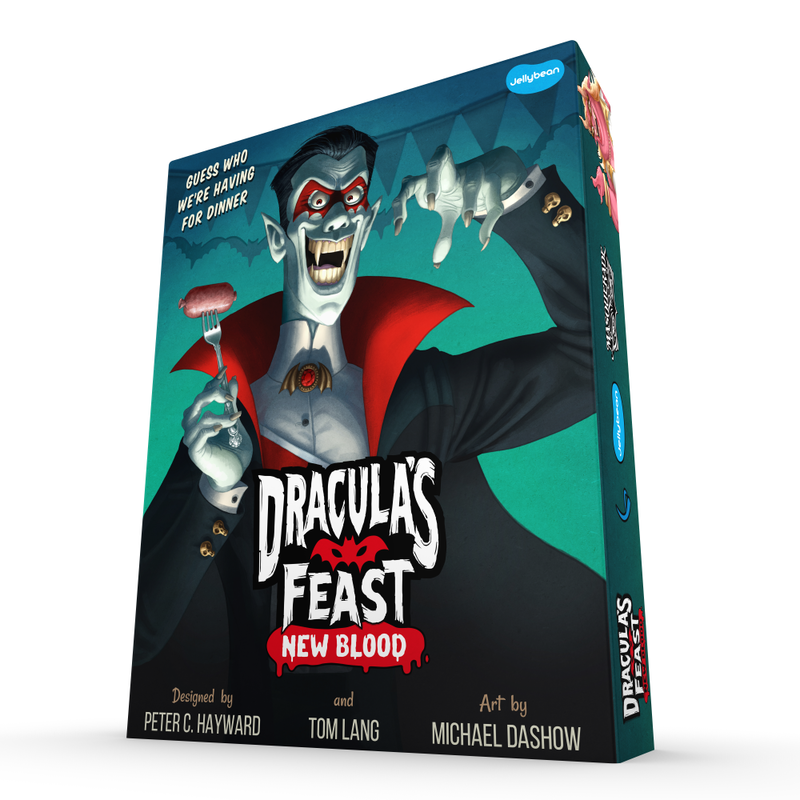 Dracula’s Feast is a logical deduction game for 4-8 players. Suitable for ages 10 and up, it plays in 10-15 minutes. Dance with other guests, guess their unique identities, and when you’ve worked out who everyone is, make your Grand Reveal to win the game! 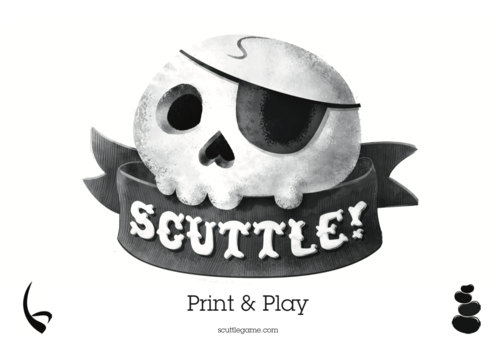 Scuttle! 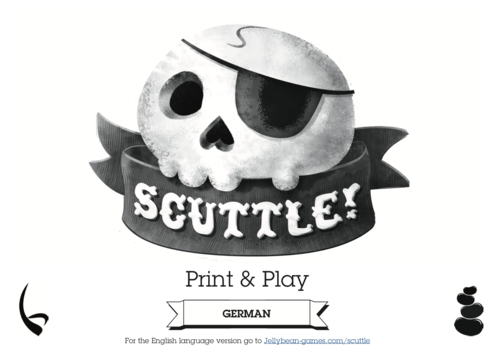 is a card game for 1-5 valiant pirates, suitable for players as young as 6. 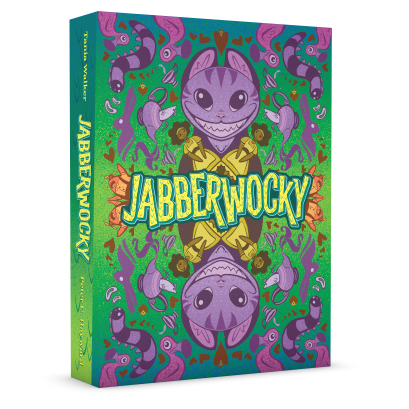 In this fast-playing card game, players scheme, battle and steal to be the first to collect 21 doubloons. Each turn either draw a card or play a card – cards can be played as either treasure or as an action. Do you want to draw 2 cards, or steal the treasure chest your opponent just played? Or would you rather wipe the board…knowing that your booty is protected!